Your Range Bag: Which Bag & What to Have In It | Eagle Gun Range Inc. If you’re going to the gun range, especially if you’re going to make a habit of doing so, you need a range bag in which to carry your pistol and/or necessary and useful gear. Your choice of range bag will vary according to practical issues, like what and how much you intend to carry in it, but also according to social issues, like just how overt you want to be about your shooting hobby. Regarding that last point, you may decide that it’s perfectly fine with you that co-workers and neighbors regularly or occasionally see you carrying an obvious gun-range bag. Like some, though, you may instead decide that it’s best to be a bit more discrete with regard to your shooting habit, and opt for a more commonly seen type of bag. In any event, having a dedicated range bag is a good idea, as is having the essentials and even the nice-to-have things packed neatly in your bag. Let’s look at some range bag options and then examine some of the things you’ll want to bring along with you to the range. Regardless of what you choose as a range bag, it will need to meet some criteria in order to be suitable. First, it will need to be tough to endure wear and abrasion, from inside and outside. It will require sturdy construction to stand up to some significant weight from firearms and ammunition. Next, it will need to have adequate volume for the things you’ll carry with you, including your pistol(s), ammo, and other items. Also, it is best if the bag has a way to segregate your pistol(s) and/or other items from the rest of the bag’s contents. There are generally three types of candidates that make for good range bags. This one is made specifically for the purpose. These bags typically feature tough construction and though they vary in size and capacity, they generally feature some assortment of pockets and/or divisions of the primary content area. As you might expect, the purpose-made range bag is the most practical choice. Given the likely gear you’ll want or need to bring to the range, a real range bag will often have specific or suitable compartments for things like ammo, a pistol or two, and other various sundries common to training at the range. Depending on your preference, the purpose-made range bag can bring with it the uncomfortable quality of actually looking like a gun-range bag. Many of you may think, so what, but perhaps some of you may be put off by this fact. No matter how you dress, if you’re carrying one of these, it is either clear to—or raises questions in the minds of—neighbors and onlookers as to what you’re up to. Despite what I’m pointing out here, there’s no reason you have to worry about what your bag communicates to others who see you. I bring it up here, and later in this article, only for those of you who DO have this concern. Keeping and bearing arms is every law-abiding American’s right. It is fundamental to our culture. But we each make individual choices. Different strokes for different folks! A laptop computer bag is a good alternative to the purpose-made range bag. 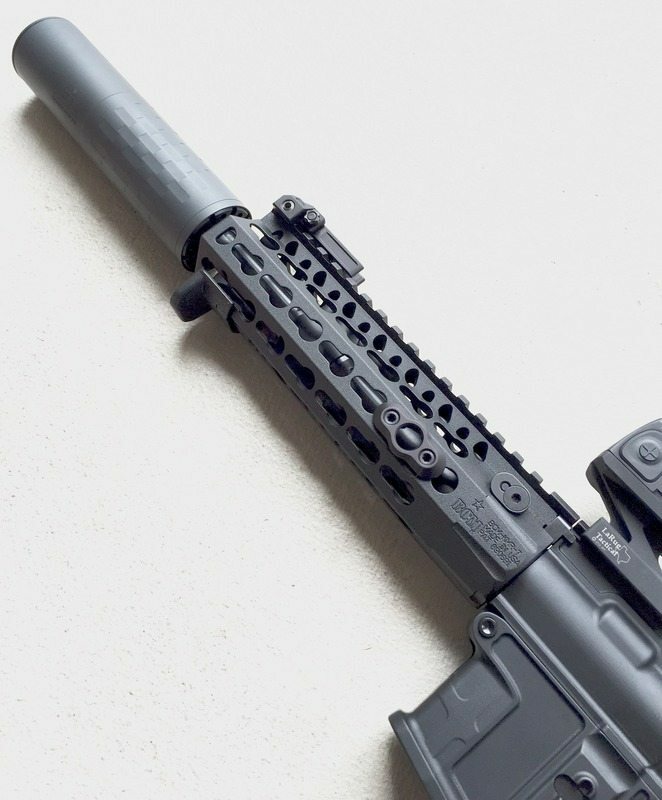 It has the benefits of generally being functionally suitable and, for those of you who care about such things, being less overt with regard to communicating “GUNS!” to onlookers. When I first started making the gun range a several-day-a-week habit I used a laptop bag as my range bag. My choice was mostly because it was what I had at hand, but also because I was not yet sure that I wanted my neighbors and others who saw me to know I was a gun owner and carrying a firearm. A laptop bag is something any citizen can be seen with without prompting any questions in the mind of others. These issues aside, the laptop bag is quite a functional piece of equipment. These bags are typically well constructed, durable, and more than able to stand up to the weight and abrasion common to range bags. 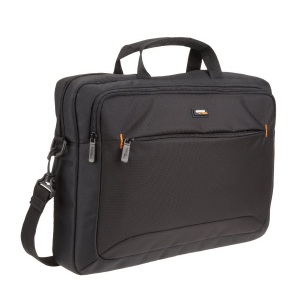 Laptop bags have the added benefit of having a padded compartment that provides good cushion and segregation for a pistol. 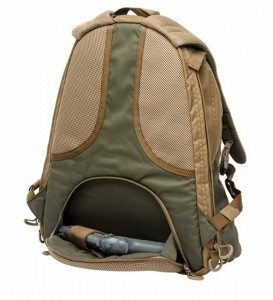 The “covert-carry” backpack is an option, with the added benefit of a padded, pistol-specific compartment. 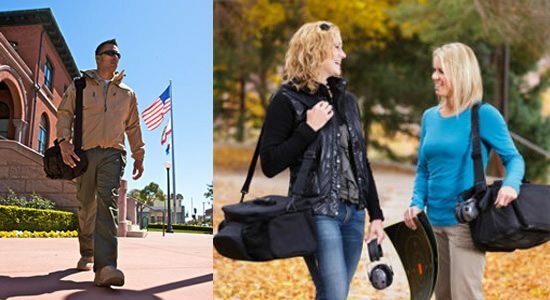 When you think of needing a bag that allows you to carry all sorts of things in public, a backpack is an easy solution and likely a first thought. A backpack can serve as an excellent range bag. The only general drawbacks are perhaps 1) most backpacks are a bit large for a range bag and 2) the probable lack of a padded compartment for a pistol. There is, however, the “laptop backpack” that today is not at all rare. 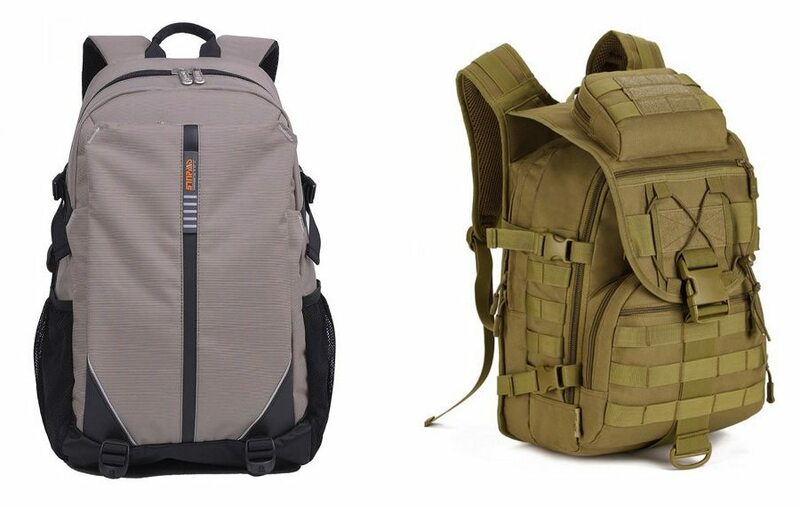 The benefit of this version of a backpack as range bag is the addition of a padded compartment. It allows for the necessary padding and segregation of your pistol. There are even “covert-carry” backpacks that have a separate compartment for a carry pistol. I cannot condone off-body carry of a concealed firearm, but as a range bag option, this could be quite suitable. These issues aside, it’s not a stretch to adapt any backpack you may have on hand to serve as a range bag. They are both roomy enough to serve and usually inconspicuous enough to raise no questions in the minds of neighbors and onlookers, should that be a concern for you. There are, of course, some backpacks that while perhaps more functionally suitable as a range bag, are a bit more overt looking. There is no wrong or right with regard to your choice here. It’s entirely up to your preference. The most important factor likely rests in how a particular pack suits your range bag contents, which we’ll examine next. 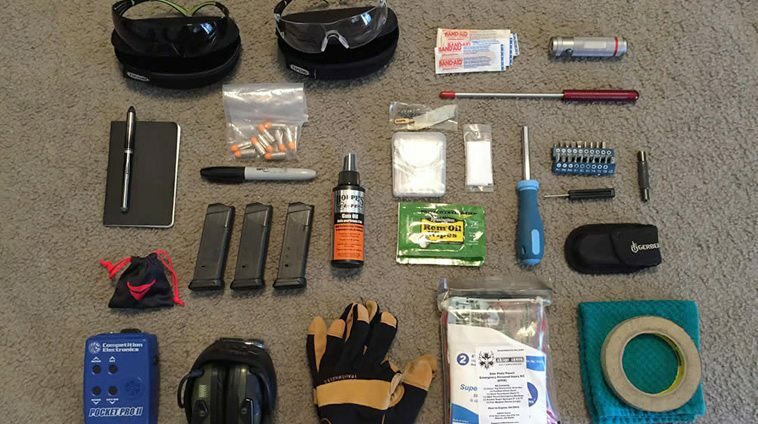 There are some things you probably must have in your range bag, things you’ll likely want to bring, and things you might include according to your specific habits and training environment. I find that too many people fail to have emergency medical equipment with them, either in their range bag or in clothing pockets, when they visit the gun range. An EPIK and tourniquet are not optional items and it is irresponsible to operate firearms without the means to deal with a traumatic injury. Also, be sure you know how to use your emergency medical equipment. People make mistakes. Don’t let that fact cost you or someone else a life. It is worth noting here that Eagle Gun Range prohibits cleaning your firearm on the firing line bench. A cleaning kit it a good component of your range bag, but be aware of or or inquire as to where you may and may not employ it at your range. For a look at a full complement of what you might consider for your range bag, I took a photo of the things I keep in mine. It’s not necessarily what you should keep in yours, but I hope you find it helpful. Beyond must-haves and advisable items, maybe include in your range bag things that are specific to the type of training you do and things contextual to your training environment (indoors, outdoors, pistols or rifles, standing target practice, or dynamic moving and shooting, etc.). It’s YOUR range bag and should be set up to serve you, given what you do and where you go to shoot. 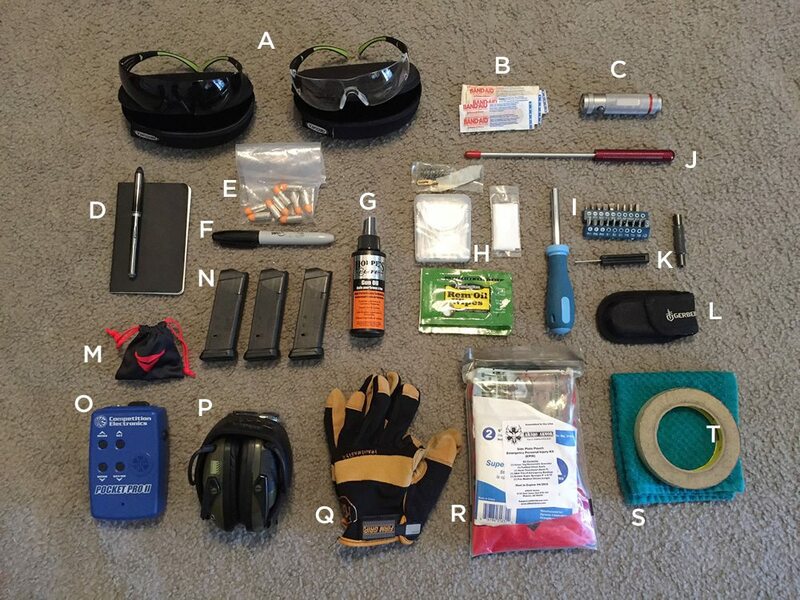 While there’s no need to pack your range bag like you’re going away on a weekend trip, you want to have the things that will make your trip to the gun range a comfortable one and allow you to be prepared for when minor and major things go awry. One thing I don’t see is an ECI – Empty Chamber Indicator. Most ranges require you have one if you’re going to be around fellow shooters on a range. They can range from something you buy at the sporting goods store for a few bucks to things as simple as a wire tie with a bright colored piece of balloon in its grasp or even a piece of brightly colored weed wacker line to insert into the firearm chamber when going down range to it signifies the chamber is empty and the gun is completely safe. How about some staple guns and staples for target hanging too? These are really two essentials I would think.